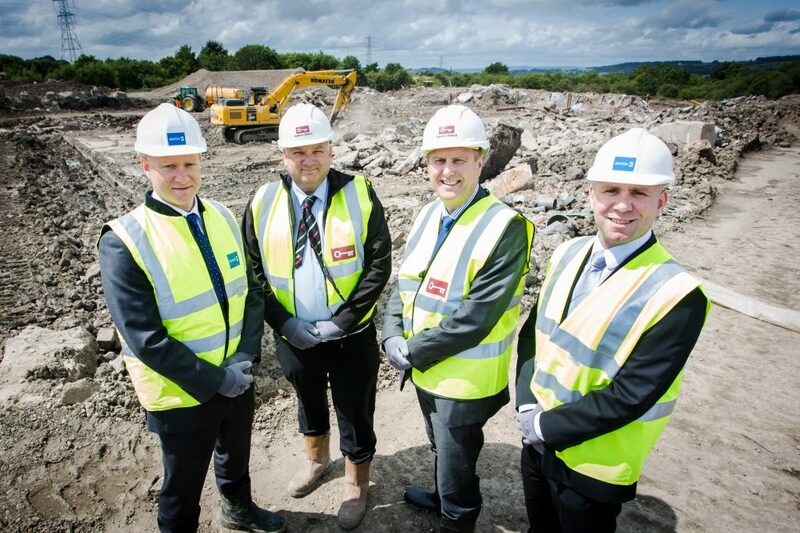 Work has started on a new national distribution centre which will be occupied by the largest tenant to date at Lancashire’s £50m Burnley Bridge Business Park. The 543,620 square foot centre is to be used by Exertis, one of Europe’s largest and fastest-growing technology distribution and specialist service providers. Site work follows the company concluding what is believed to be the biggest distribution deal in the north-west so far this year with Eshton, the Leeds-based property investment and development specialist delivering the park. Eshton has appointed construction group Bowmer & Kirkland to build the centre to Exertis’s specifications. Due for completion in May 2016, the building will contain a 433,946 square foot warehouse, two mezzanine floors totalling 66,478 square feet and 43,196 square feet of office space. It is anticipated that 510 Exertis staff, currently based seven miles away at Altham Business Park, near Accrington, will re=locate to the site with this number increasing to 800 staff when the site is fully operational, which is expected to be by early 2017. The deal between Eshton and Exertis includes additional land, providing scope to extend the premises by 200,000 square feet in the future. Exertis, which has other existing UK facilities in Raunds, Northamptonshire and Elland, West Yorkshire, partners with 350 global technology brands and over 14,000 resellers, e-commerce operators and retailers across Europe. It recorded turnover of £2.3bn and grew by over 22 per cent in the last full financial year. Launched 18 months ago, Government-backed Burnley Business Park is a strategic 70-acre development, at Junction 9 of the M65. When complete, it will provide 680,000 square feet of industrial and distribution space, offering units from 2,000 square feet upwards, and is expected to create 1,400 jobs. Initially, two speculatively-built developments were completed at Burnley Bridge Business Park, the 64,100 square foot Cobalt Building and 39,000 square foot Magnesium Court. It was always intended, however, that further properties would be built at the site to tenants’ specifications. Existing occupants at Burnley Bridge Business Park include: catering wholesaler Birchall Food Service; Townsend Music, which provides distribution, fulfilment, merchandise and printing services; general builder, electrical contractor and ground works specialist Equinox Building Services; and YESSS Electrical, the wholesale electrical supplies, service and solutions provider.